Since the foundation of the Women in Chemistry (Nigeria) division of the Chemical Society of Nigeria in 2015, a major activity is organized yearly for Women Chemists. 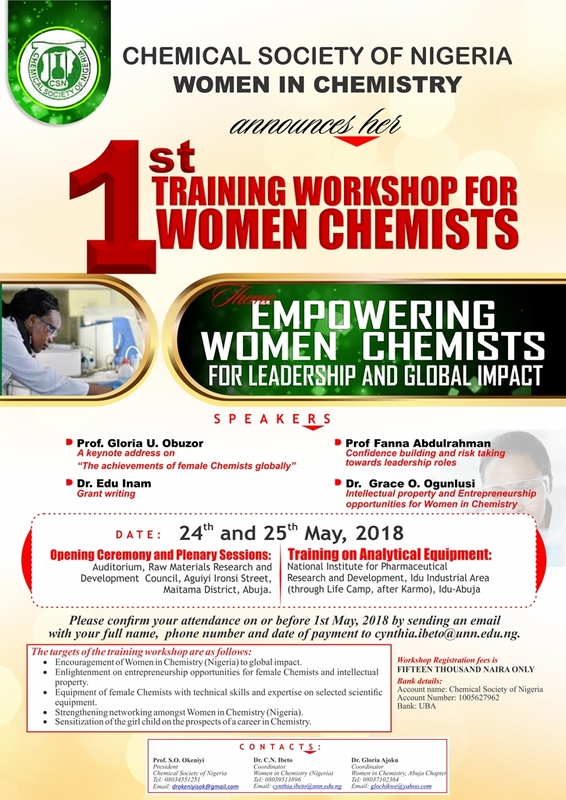 The activity for this year was the 1st training Workshop for Women Chemists held in Abuja on the 24th and 25th of May, 2018 with the theme: Empowering Women Chemists for Leadership and Global Impact. The targets of the Workshop were 1). 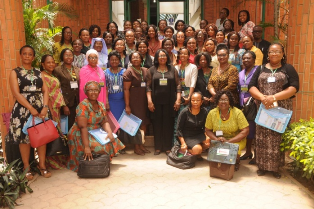 Encouragement of Women in Chemistry (Nigeria) to global impact. 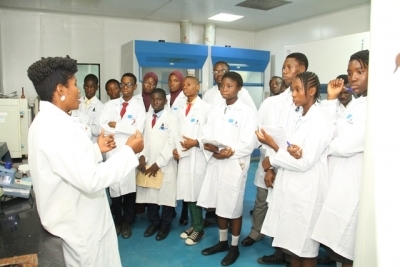 2) Enlightenment on intellectual property and entrepreneurship opportunities for female Chemists 3) Equipment of female Chemists with technical skills and expertise on selected scientific equipment 4) Strengthening networking amongst Women in Chemistry 5) Sensitization of the girl child on the prospects of a career in Chemistry. 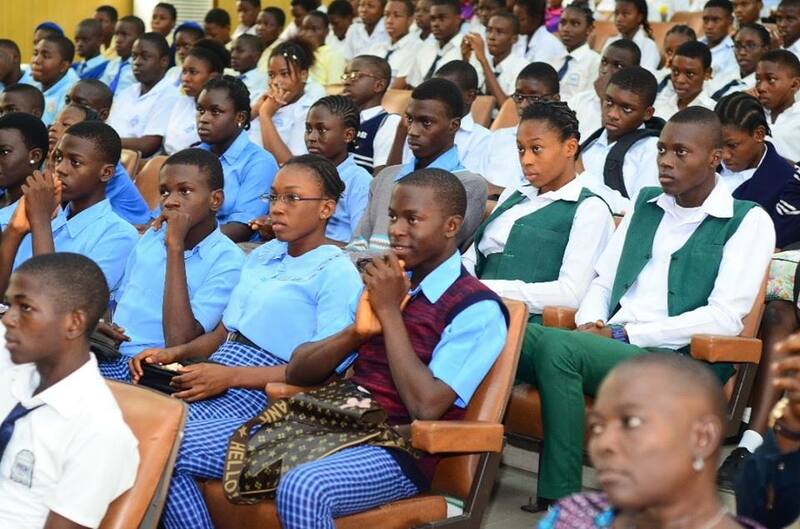 The two day workshop began with an Opening Ceremony on the 24th of May with participants, female secondary school students and several guests at the Auditorium, Raw Materials Research and Development Council, Aguiyi Ironsi Street, Maitama District, Abuja. 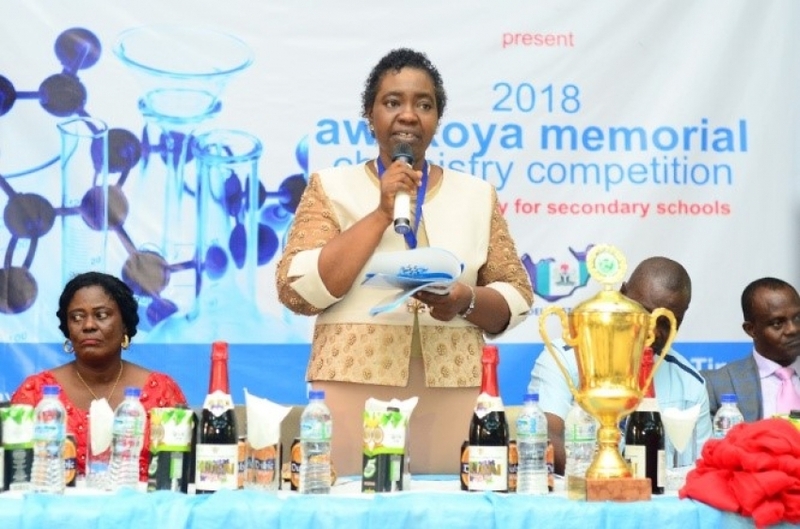 Prof. Sunday O. Okeniyi, President Chemical Society of Nigeria (CSN) and Dr. Cynthia N. Ibeto, Coordinator, Women in Chemistry (Nigeria) gave their welcome addresses. 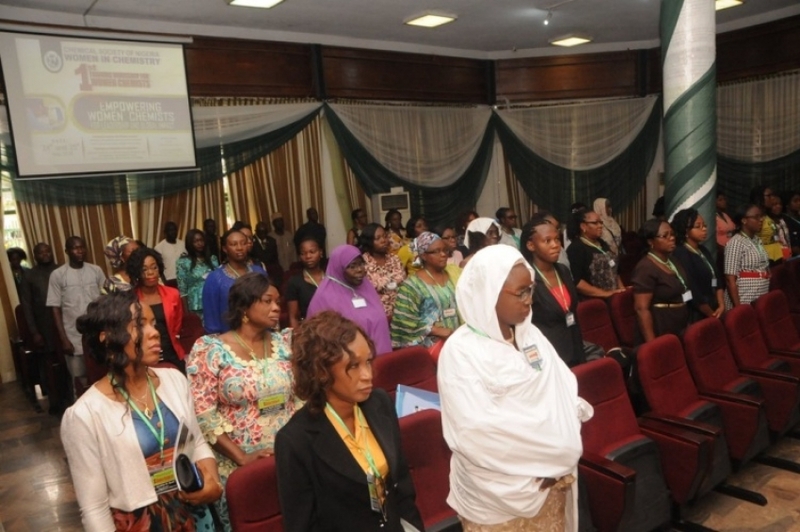 Prof. Okeniyi stressed that the woman is the wheel that drives families and the society at large. He also added that empowerment and motivation are the two major tools needed to make women interested in taking leadership roles. 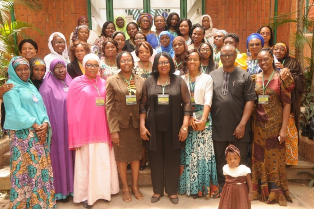 Dr. Ibeto emphasized the need to not only enhance the skills and education of women and girls but also to awaken in them their innate capacities for leadership and advancement of society. 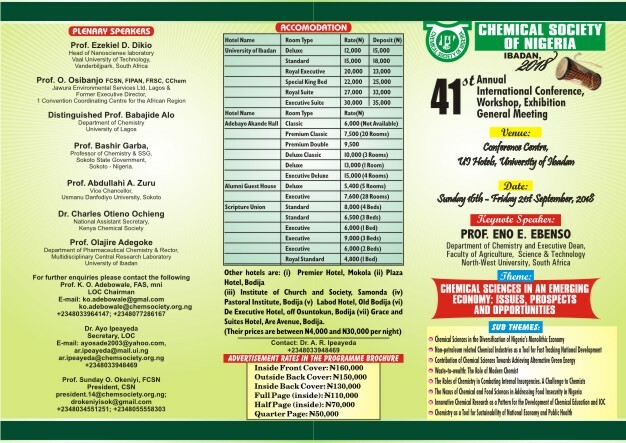 A key note address on “The achievements of female Chemists globally” was delivered by the Vice President, Federation Africa Society of Chemists and immediate past CSN president, Prof. Gloria Ukalina Obuzor. This was followed by the 1st plenary lecture on “Grant writing”, presented by Dr. Inam Edu. 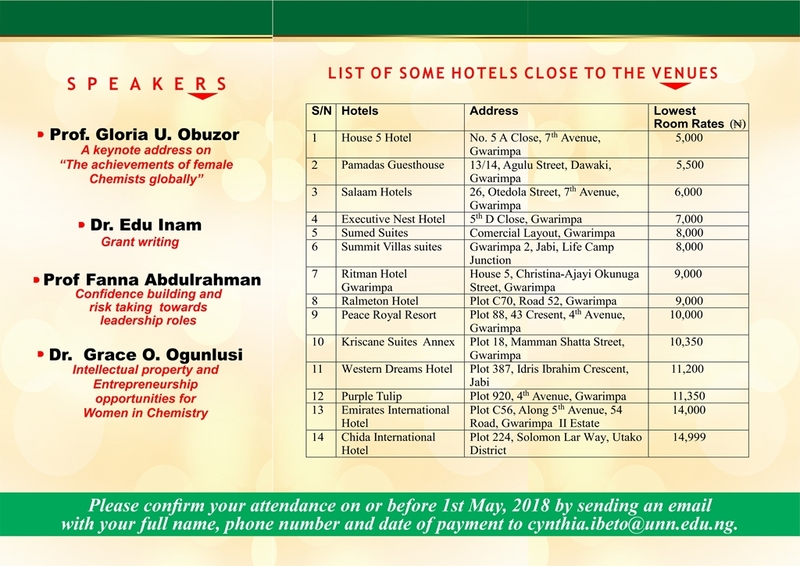 The second plenary lecture on “Intellectual property and Entrepreneurship opportunities for women in Chemistry” was presented by Dr. Grace O. Ogunlusi while the last plenary Lecturer, Prof. Fanna Abdulrahaman spoke on “Confidence building and risk taking towards leadership roles”. A grant writing activity commenced before the end of the program for the 1st day. The second day of the workshop was for the training on the use of Gas Chromatograph-Mass Spectrometer (GC-MS) and Fourier Transform Infrared Spectrophotometer (FTIR) which were selected based on their relevance to Chemists. 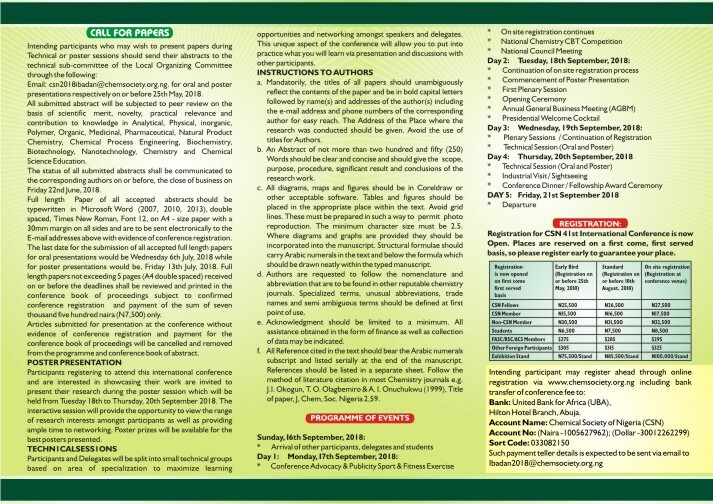 This held at the National Institute for Pharmaceutical Research and Development, Idu Industrial Area, Idu-Abuja. At the end of the workshop, the participants requested that the program should be a yearly event for Female Chemists. Also, it was good to know that the workshop has led to the formation of some research groups. Date: Sunday 16th - Friday 21st September 2018. 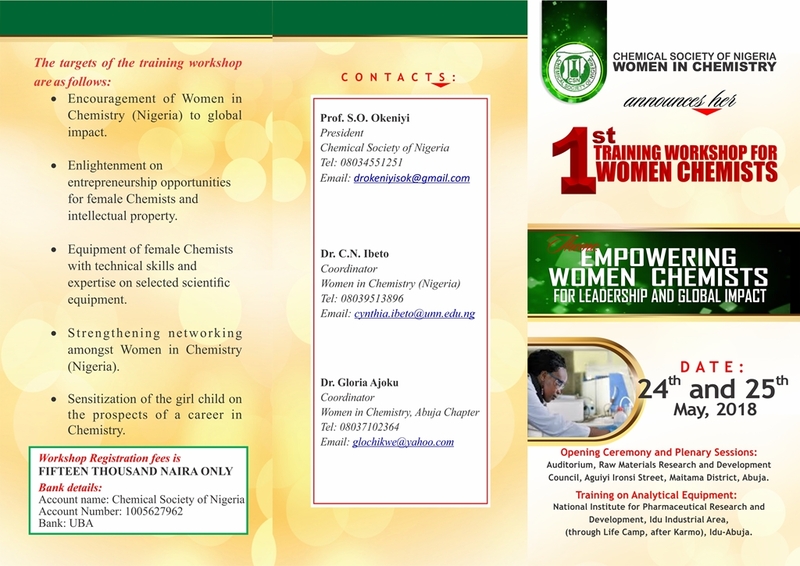 The Women in Chemistry, Chemical Society of Nigeria, announces her Ist training workshop for Women Chemists. Date:24th and 25th May, 2018. ChemFest marked the finale of Chemistry Week, an annual event that celebrates Chemistry through hands-on activities, educational tour, knowledge clips, and games. 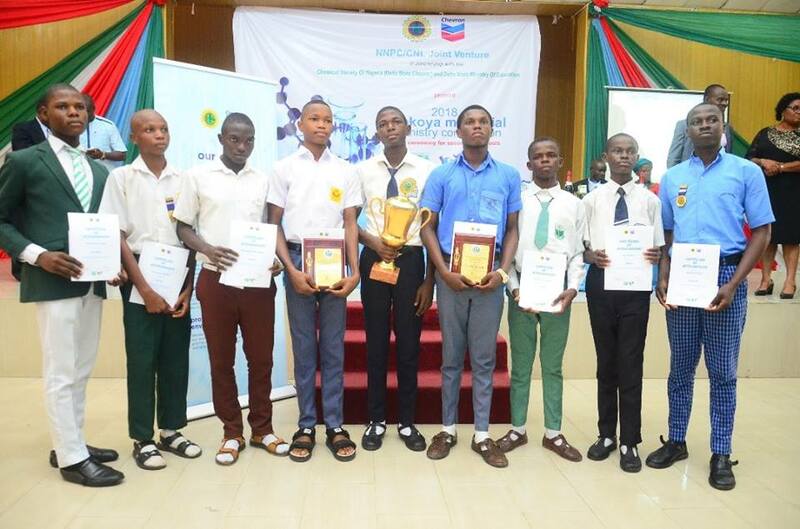 Delta Chapter 2018 Awokoya Memorial Chemistry Competition Award Ceremony. 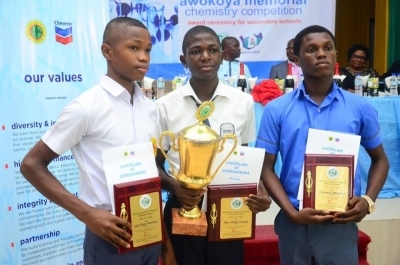 The 2018 edition of award ceremony to reward participants in the Awokoya Memorial Chemistry Competition for Secondary Schools took place at the Main Auditorium, Petroleum Training Institute (PTI) Conference Centre, Effurun on Saturday 10th November, 2018. 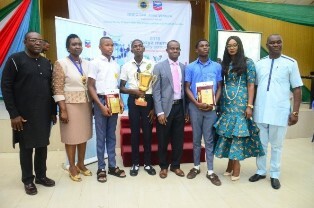 The program was organized by Chemical Society of Nigeria, Delta Chapter in partnership with NNPC/ Chevron joint venture and Delta State ministry of education. 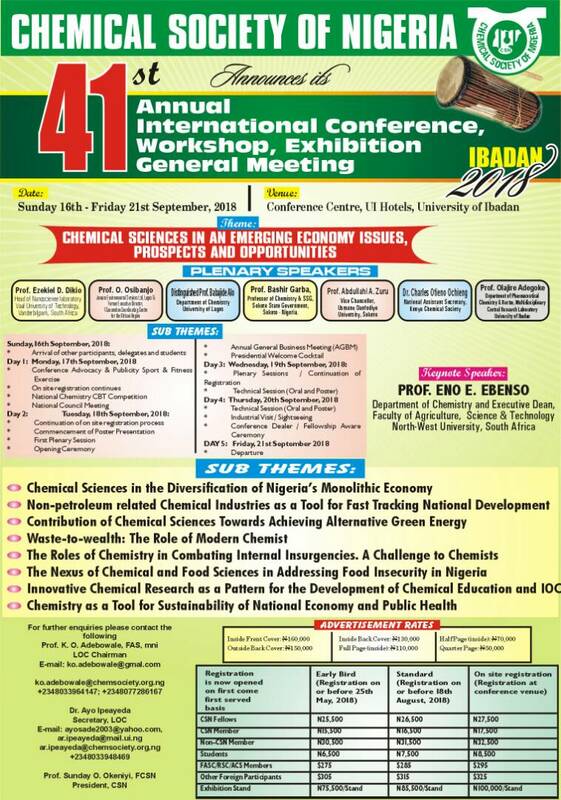 The occasion was chaired by the President, Chemical Society of Nigeria, Prof. S.O. 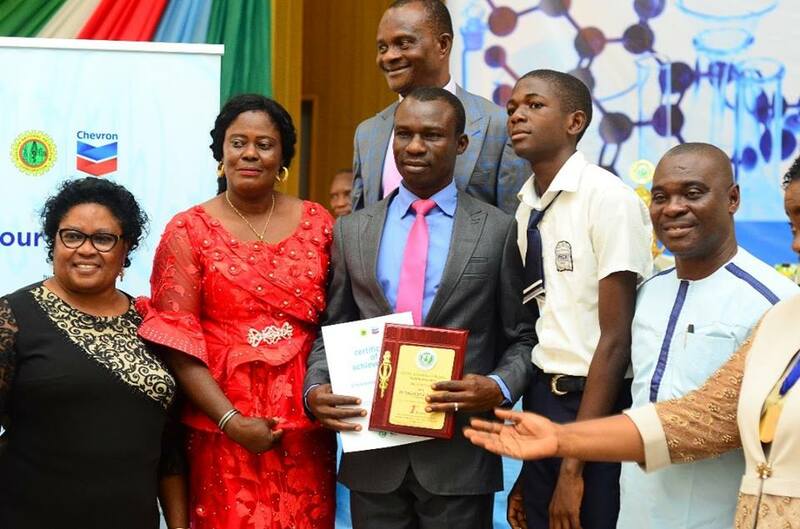 Okeniyi who was ably represented by the Chair Awards Committee, Dr. E.P. Berezi. The Chevron Managing Director, Mr. Jeffrey Ewing was represented by Mr. Tony Emegere PGPA Supt., Chevron Nigeria Limited. Prof. Samuel Chuks O. Ugbolue, the first Professor of Polymer Science and Textile Technology in the Nigerian University system, who also is the Dean of Faculty of Science and Director of Academic Planning and Quality Assurance at the Edwin Clark University, Kiagbodo delivered the guest lecture of the day. Master Ate Ovie Great of Nepa Staff School, Sapele took the first position while second and third went to Master Gogfo Ataisikup and Master Oyawiri Martin both of Government College, Ughelli and Our Saviour Secondary School, Sapele respectively. The Manufacturers Association of Nigeria have concluded plan to turn research papers in commercial documents.